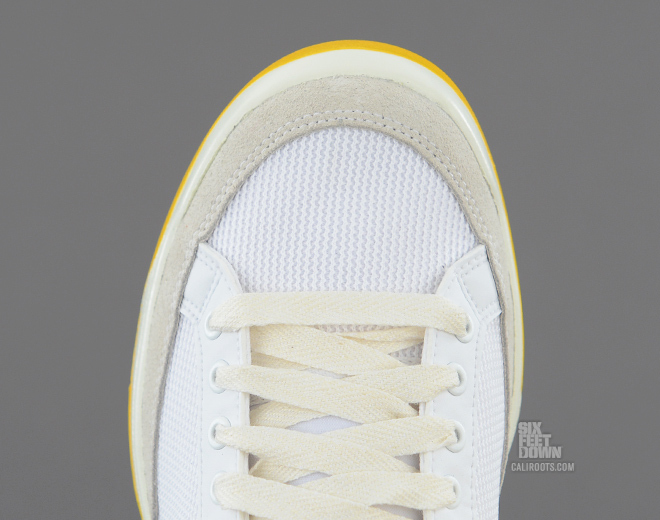 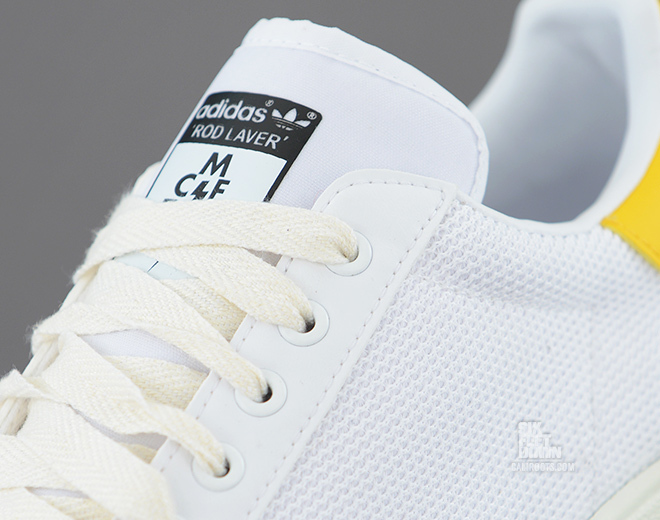 Kazuki and Mark McNairy take care of business with a new 84-Lab Rod Laver in White / Yellow. 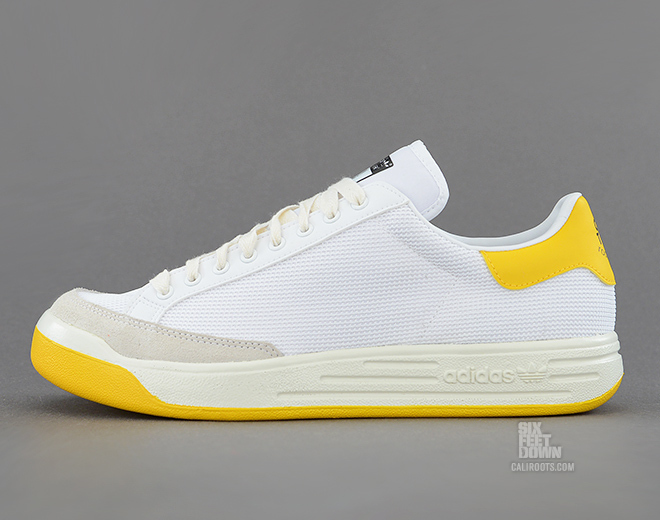 The adidas Originals 84-Lab Fall/Winter 2013 collection continues with the classic Rod Laver in White / Yellow. 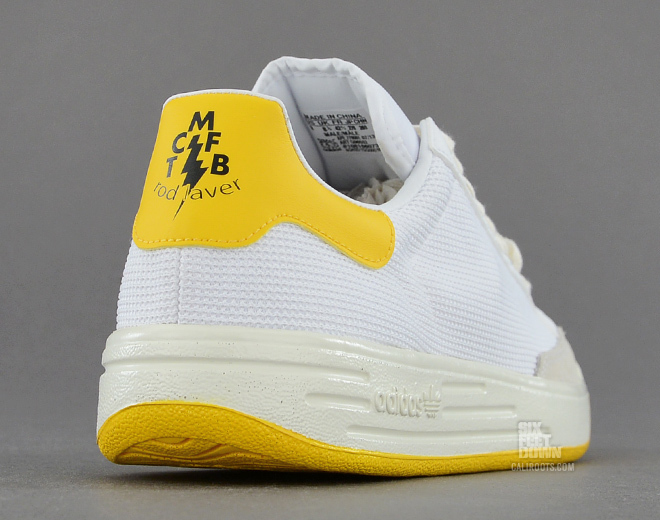 One of four "McNasty" colorways put together by Kazuki Kuraishi and Mark McNairy, this new Rod Laver features a simple white mesh upper with suede and leather overlays, topped off with "TCMFB" graphics on the tongue and heel. 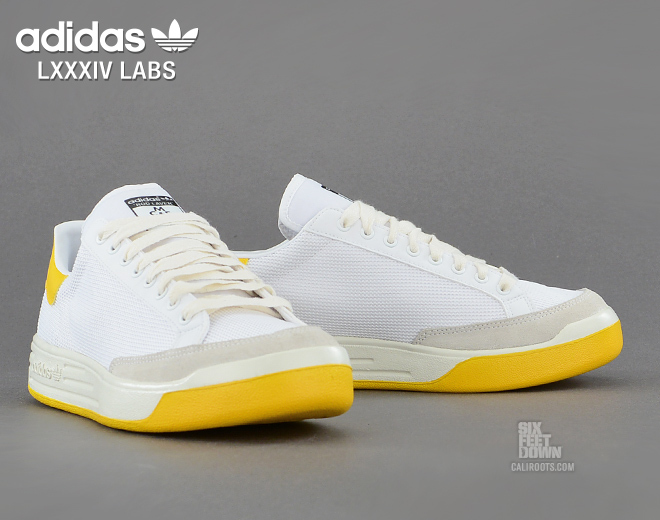 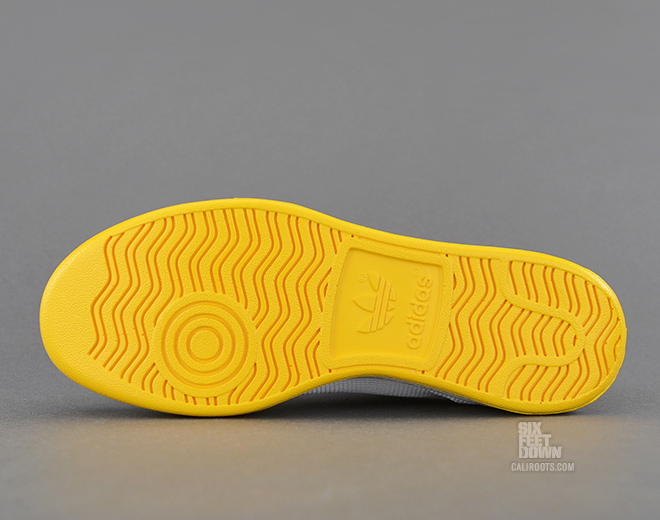 The adidas Originals 84-Lab Rod Laver in White / Yellow is available now at Caliroots.